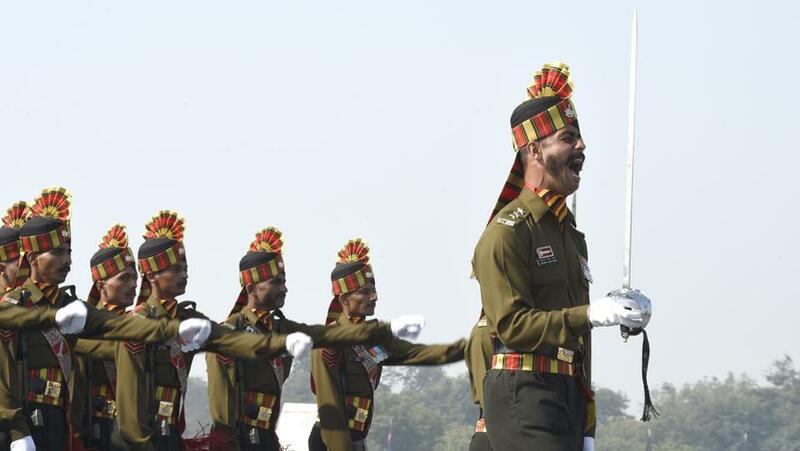 Every year India celebrates Army Day on January 15th. Army Day is celebrated to salute the valiant soldiers who sacrificed their lives to protect the country and its citizens. Why it is celebrated on January 15? It is in recognition of Field Marshal Kodandera M. Cariappa taking over as the first Commander-in-Chief of the Indian Army from General Sir Francis Butcher, the last British Commander-in-Chief of India, on 15th January 1949. For the first time in the history of Indian Army, Lieutenant Bhavana Kasturi lead the Indian Army's Service Corps (ASC) contingent and Captain Surabhi, a female officer, lead the Army's Daredevils Motorcycle Display team comprising 33 men riding nine bikes in a pyramid formation. 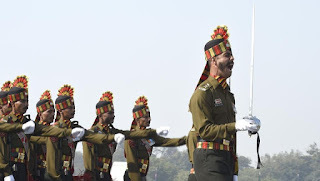 Indian Army traces its origin to the Military Department which was created within the Government of the East India Company at Kolkata in the year 1776. With the motto of 'Service Before Self', Indian Army is on the mission to ensure national security, national unity, defend the nation from external aggression and internal threats, and maintain peace and security within its borders. Q. When does India celebrates Army Day every year?